A 10-story office building in Glendale has sold for $13.6 million. 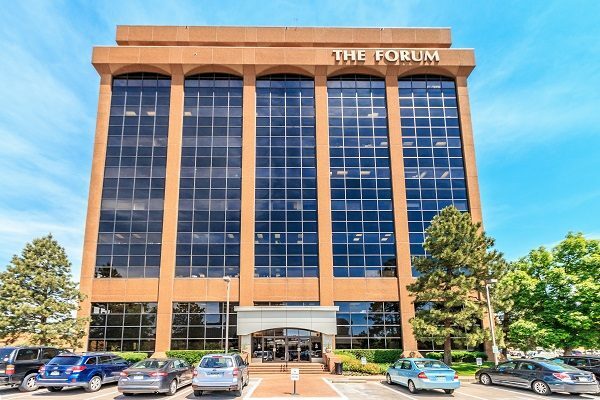 Denver-based Centre Point Properties purchased The Forum at Cherry Creek at 425 S. Cherry St. last week, according to county records. The property was sold by Denver-based Millice Group. Aaron Johnson and Jon Hendrickson of Cushman & Wakefield represented the seller. The firm said the building was 88 percent leased at the time of sale, with 40 percent of tenants in the medical office category, and has a parking ratio of 3.83 spaces per 1,000 square feet. “The Forum at Cherry Creek provides a significant value-add opportunity, with a stabilized asset, where the current lease rates are as much as 30 percent below market,” Johnson said in a statement. The building is 83,268 square feet, making the deal worth $163 a square foot. Bellco Credit Union provided financing for the deal. Centre Point founder and President Tucker Manion said the onsite parking, particularly its accessibility, made the building stand out. Centre Point’s renovation plans for the building include modernizing the lobby and bathrooms, and adding a coffee bar and bike-rental program. “We think that’ll even more connect the building to Cherry Creek,” Manion said, envisioning employees using the bikes to get to nearby lunch spots. Centre Point Properties’ other Denver holdings include the office building at 789 Sherman St. in Capitol Hill and the six-story Wheeler Block building at 2150 W. 29th Ave. in LoHi. Manion said the company controls about 1.5 million square feet, approximately 70 percent of which is office space.